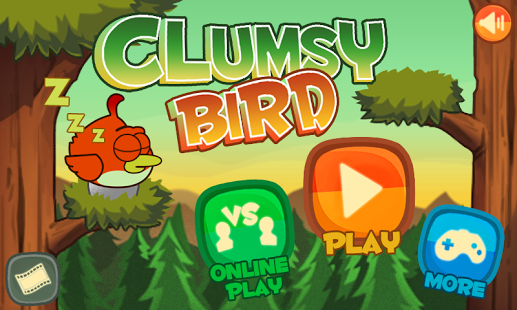 Clumsy Bird – Is It a Worthy Successor to Flappy Bird? Clumsy Bird is a critically acclaimed game touted to be the successor of the famous Flappy Bird which was released early last year. Flappy Bird was developed by a Vietnam based developer – Dong Nguyen, which later rose to unmatched popularity with over 50 million downloads worldwide. Astounding as it sounds, it was reported that Dong Nguyen was earning approximately $50000 per day through advertisements in his game. It was triumphant and topping the charts on both Google and iOS platform App stores. Despite the constant revenue and success of his app, Dong Nguyen declared that the popularity of the app brought him considerable stress and he wasn’t able to handle it anymore. So much that he decided to take the game down from the servers, leaving gaming enthusiasts across the world in shock. Taking advantage of this opportunity, renowned developer Candy Mobile has come up with another app called Clumsy Bird designed along similar lines. There are many others too but Clumsy Bird is the best in terms of the gameplay & design. 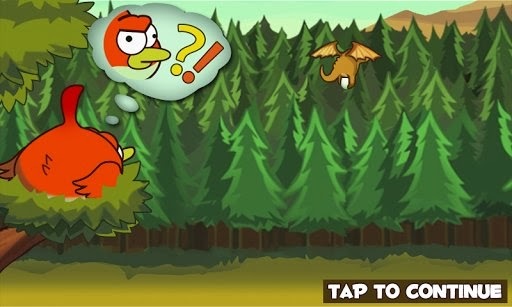 But the question arises, is it justified to consider Clumsy bird as the closest alternative of the legendary Flappy Bird? This game tries to continue the legacy of Flappy Bird’s gameplay with superior graphics and a change in setting. 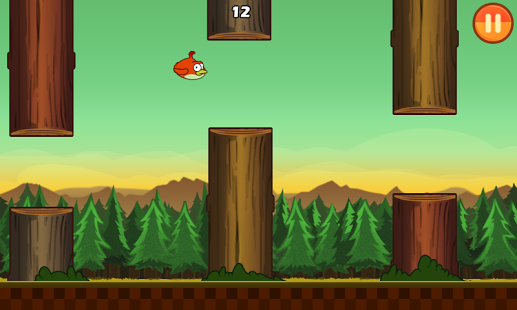 The lead character is an Angry Birds look-alike that navigates through a forest overcoming hurdles such as tree trunks. The plot involves ‘Bad Dragons’ as the antagonist who steal the precious eggs of Clumsy Bird. The player needs to guide Clumsy bird through all types of hindrances to acquire their eggs back. It does sound fun-filled! The game uses a one touch user interface to control the character, i.e. touch to flap the wings; thus making the controlling operation extremely easy and simplistic. The gamer can tap anywhere on the device screen to make the bird fly higher. Though the game controls are easy, it is quite challenging to achieve milestones along the progress of the game. The graphics and visuals are nothing less than stunning and detailed, thus adding to the overall experience. There is an online element of fun too – Players can compete with other rival players online by flying as far as they can within 60 seconds to beat them. Though there are apprehensions expressed by users, this is an attraction undoubtedly. Many enthusiasts across the globe have shown a positive response towards the game, some saying that it is better than Flappy Bird also. Well, it would better be! The game is more advanced and uses a better engine. It can induce addiction in players with its gripping gameplay. Critics are also of the view that the idea is a copy and that it is an unethical practice to do so – they demand originality. The gameplay gets repetitive after a period of time. The game is free for download in the Google Play App Store and the size is 2.5 MB. The latest version, V1.3 comes with the bug fixes in the online play mode.